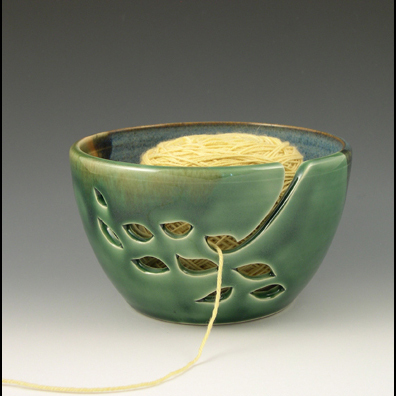 Yarn Bowl. Holds a knitter's yarn in place while working and keeps it up off the floor and away from curious pets. Participating as a member of the Ann Arbor Potter's Guild.